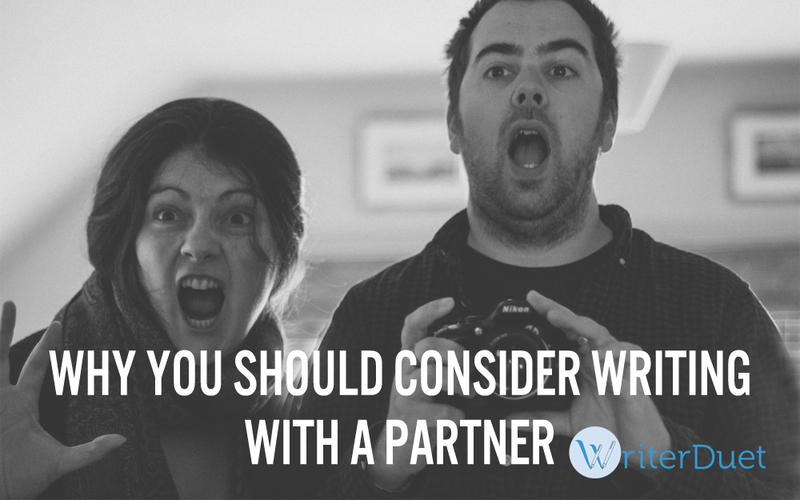 Why writing as a partnership is something all writers should consider! WriterDuet is a great collaborative writing app and has kindly provided FREE copies for the winners of this year’s competitions. I spoke with product manager Dennis Budde to discuss the app (approved and used by screenwriter Ed Solomon, Men In Black), and with 2016 Feature Winners Dave & Nell Thomas on why writing as a partnership is something all writers should consider. Olivia: Writer Duet is a screenwriting app that provides writers instant feedback, is internationally accessible and allows an opportunity for beginners and professionals to collaborate all over the world. 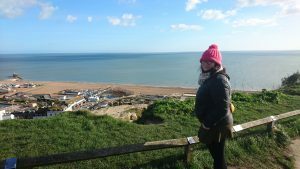 Do you have any advice for writers on how best they can utilise the app and the benefits of connecting/collaborating with others on your work? Dennis: My advice is to just write and let the tools come to you when you need them (and you will need them). Don’t limit yourself to any convention you might have in your head. Share your ideas and content before you’ve even finished a first pass, delete things before you’re sure you want to, write two versions of a line, scene or draft and don’t choose between them, link to webpages or YouTube videos. Whatever you write, write it, and don’t stop until it’s written. In other words, WriterDuet is for what I call “WriterDoers”. Olivia: Many writers and filmmakers consider networking to be integral to their career for many reasons, cultivating working relationships and getting their name out there. How important do you feel networking is and do you have any advice for how writers can utilise social media to do this? Dennis: Collaboration is a part of all projects. Invite people into your creative home. If you do that, you’ll develop a network of people who like you and your work, and vice versa without having to ever think about networking. Be an aggressive creator and collaborator. Olivia: Ernest Hemingway believed in getting the first draft onto paper, and having no expectations of it. What are your tips or advice for writers struggling with finishing their first draft and can you highlight any specific aspects of Writer Duet to aid this? Dennis: Whether one prefers to create an extremely microscopic outline that lays out each and every beat before writing a word, or whether one prefers writing Page 1 and continuing straight through to Page 120. We’re all some mix of the two, but with most software we’re forced to choose. WriterDuet does a great job of breaking down the walls between structure and streamline. The structure lies in our outlining, meta-data, filtering, and high-level content management tools and also focuses on the real-time view of the final product. The writer can write as fast and simply as possible with nothing more than the letter keys, Enter, and Tab. As far as just writing the first draft without hesitation, without allowing yourself to give up: Yes. Olivia: The app has many fantastic features which allows feedback to be stored easily, name tagged and correlated specifically to every edit. Can you share any tips on handling feedback that you may not creatively agree with, and how best a writer may move forward with these suggestions? Dennis: I recently had a chance to meet a former writer from a major animation studio. I asked her whether she would like to see Upvote/Downvote buttons next to every line in WriterDuet. Her reply was simply “No”. The moral: Every piece of feedback is a spark, because it can start a fire of conversation, debate, growth and understanding. When you receive feedback, remember that the more you understand about what led to that note, the more you’ll be able to improve from it. Olivia: With screenwriting technology ever evolving, writers have no excuse nowadays not to make full use of this to aid their writing. Can you talk me through your process of being able to collaborate digitally, working on-the-go, and how apps such as Writer Duet help enhance your writing? Dennis: On a day-to-day basis, WriterDuet allows the writer to write wherever they are, for however long, without having to worry about anything. Beyond writing new content–which can sometimes be hard to do with five free minutes on a metro–the ability to check in on updates and feedback in real-time allows for an ongoing conversation. We believe that this can make a big difference in shifting the default state of the idling mind to good ideas for a better script. Olivia: Writer Duet is a unique app designed by yourself a writer, can you share what you considered the gap in the market to create Writer Duet, and the feedback/insights of other writers that enabled you to provide such a multifunctional service? Dennis: It’s guided by feedback. Understanding our relationship with the creative process only comes from understanding the relationship that our users have with WriterDuet, whether those users are first-time writers or industry professionals. We are the software that not only aids the creative process, but enhances it, to help each writer reach a superhuman creative cyborg level of awesome with their writing, in half the time. That’s our mission, and I think that’s what sets us apart. Dennis Budde is the Product Manager for WriterDuet. Dennis has a passion for communication that has manifested itself in his love of writing, humour, and linguistics. Dave and Nell Thomas aka MrsandMrThomas are currently developing their winning screenplay The Assessor with Shore Judge + Oscar-nominated producer, Stephen Woolley. Dave & Nell have also been signed with one of Shore’s Industry Roster Agents, The Agency in London.